Wix is one of the most popular website builders out there. With its numerous features which make web building just a drag and drop task, Wix serves millions of users. It unites the most advanced web building technologies with its deep drag and drop interface to provide the easiest way to create a website. 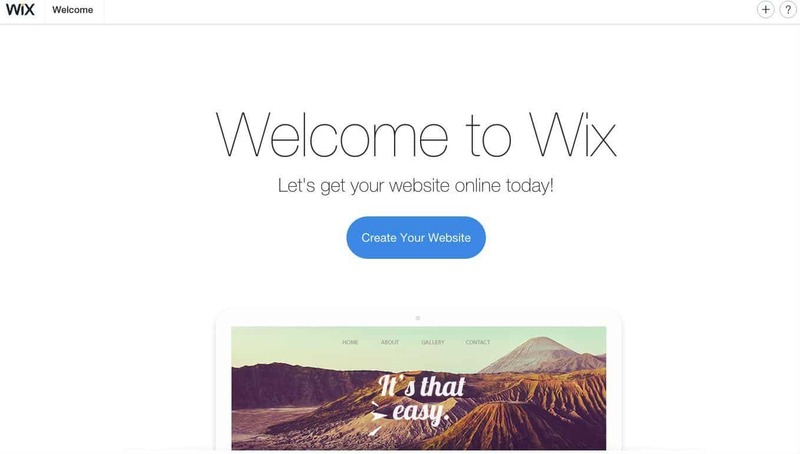 Either for a business landing page or a feature rich blog, the Wix has its tools ready for the job. If you are still struggling to build a website for your business, it is the time to check out Wix. Thousands of website templates are there on the Wix which you could select for setting up your site. Instead of starting the web building from scratch, Wix provides the easiest way of crafting the perfect online presence for your business. Without explaining too much, let’s directly have a look at the features which makes Wix so unique among hundreds of website builders on the internet. Using Wix, it is super-easy to create a website for your business. Utilizing the pre-built templates, it is just a few minutes away from publishing a fantastic, search engine friendly, responsive website. 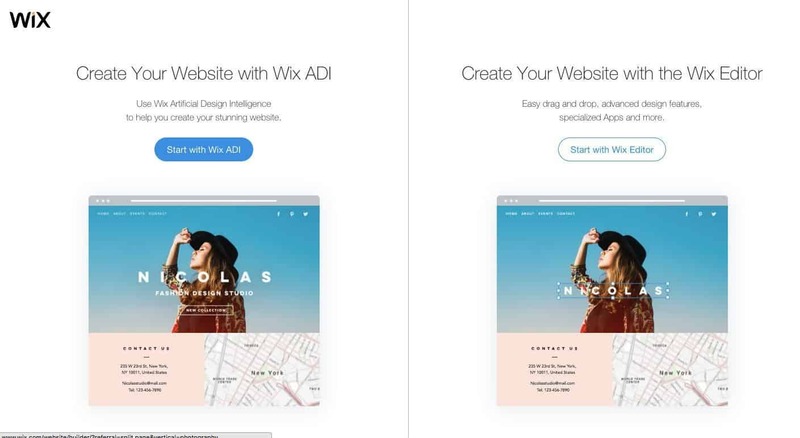 With the advanced technologies such as the latest Artificial Design Intelligence system, Wix tries to help the user to the extreme. This ADI automatically guides you throughout the process by suggesting possible variations of the design. The possibilities are almost unlimited. It can combine thousands of available materials such as images, text boxes, backgrounds, etc. to output millions of variations in design. Moreover, the drag and drop based web building process are just like editing an image in Photoshop. You are adding required materials and editing them as per your needs. After you are satisfied with the design, all you have to do is clicking a button to make it live on the web. With thousands of HTML5 website templates, Wix can make the web designing just a kids play. No matter how experienced you are with the website templates and customization, you will never scratch your head in the middle of the designing process. We can’t describe it as designing as you just have to select a template, edit it as per your requirements, and finally publish your website. It’s an editing job which could be completed within a matter of minutes. Search engines like Google and Bing have a significant role in deciding the success of a website. They could drive millions of visitors to your site if you made them satisfied with SEO. The entire Wix core itself is built for the search engines. Apart from that, you can configure the SEO settings of your website as per your requirements. While publishing new pages on your site, Wix will let you set your meta properties to optimized them for the search engines. The internet is slowly shrinking to the smaller devices. No one likes to carry those heavy laptops on their long journeys. So, optimizing your website for the mobile devices are also very crucial. Moreover, mobile-friendliness of a website is considered as a major ranking factor by the search engines. So, the Wix templates are built for any devices you own. The responsive templates will adjust themselves to fit the device screen. Wix also has a mobile app which allows users to control the new features like Live Chat on the go. All these features are available for completely free of cost. Unless you need a separate domain and hosting, everything on Wix except the advanced features such as website stats are completely free. You could set up your website as a subdomain of the Wix website. Wix will host your site for completely free forever. As already mentioned, Wix is a very flexible web builder, and the plans are also flexible as per the user’s needs. If you ever dreamt of creating a stunning website for your business without spending thousands of dollars, Wix is a good choice. As it is free to use, you could easily try it before going for the premium options. If you are satisfied with the subdomain of the Wix website, you could enjoy the service for free forever. As far as we tested, no glitches were found on the web builder or the templates. So, we recommend giving it a try! If you ever dreamt of creating a stunning website for your business without spending thousands of dollars, Wix is a good choice. Previous articleZBINNO Miro Review – A Portable Smart Media Player That can Bring Colors to your Travel Life! Next articleThe Rise of Chinese Smartphone Manufacturers – Why Indian Mobile brands failed miserably?